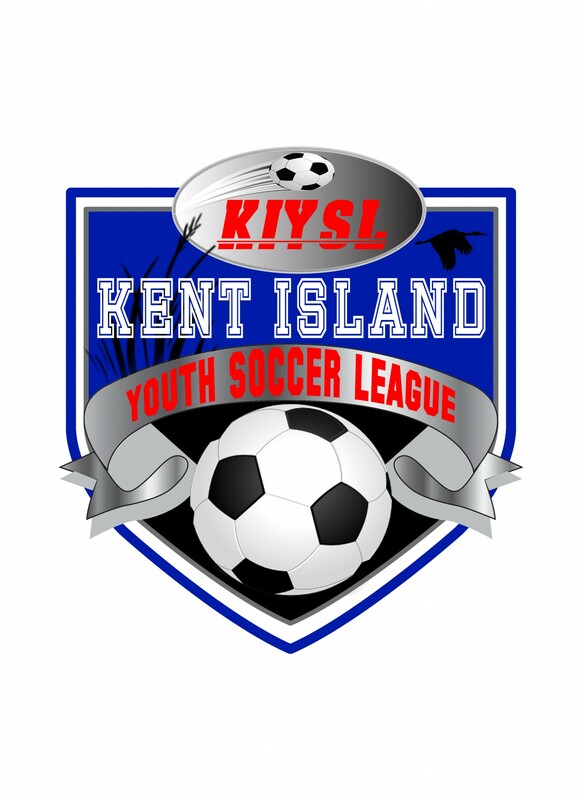 Updated Thursday October 12, 2017 by Kent Island Youth Soccer League. 8) Our first concern is SAFETY. It is better for the referees to be overcautious when safety is concerned. a) In case of injury the referee will stop play immediately except if there is a breakaway toward the goal and the injured player is away from the action. In such a case the referee will stand near the player and acknowledge the injury and also protect the injured player. After the shot or goal or end run, play will be stopped immediately. b) The injured player must leave the field and when play resumes a dropped ball will resume play. 9) When a yellow card is called, the player must leave the field of play and can come back into the game at the first substitution. Second yellow card for any given player during game play will result in an immediate red card and expulsion from the game. 10) When a red card is issued the offending player must leave the game and will be forbidden to play the following game. Referees must notify the ref. coordinator and commissioner. 11) When a foul has been committed and the advantage rule is in effect the referee will acknowledge the foul by displaying the proper signal. 12) Goal keeper has six seconds to kick or throw the ball. e) If play is stopped and a coach enters the field to assist an injured player, that player must be substituted. The exception is if the injured player is the goalie, if the player feels able to continue they may remain on the field. 14) Abuse of referee by parents will result in an immediate ejection of child and parent. Burdened Team = the team with the least number of eligible players present at the start of game. 1.) A team must have at least 9 players to begin to play the game. If, at 15 minutes past the scheduled game time, the burdened team still does not have at least nine (9) eligible players available to start the game, then the burdened team will be forced to forfeit the game and take a loss. 2.) The opposing team does NOT need to play down. If additional players arrive after the start, they may be placed on the field during a traditional subbing opportunity. 3.) If the burdened team starts with nine (9) players and an injury occurs during the game, which results in less than nine (9) players able to continue play, the decision to continue to play is solely at the discretion of the coach of the burdened team. If the burdened team with the injured player opts to stop playing at that time, then that team will forfeit the game and will take a loss regardless of the score at the time of the injury. All games ending in a tie at the end of regulation will be followed by a full 10 minute overtime period (not sudden death). A coin flip will be held to determine initial possession and sides for the teams. If, at the end of the of the full 10 minute overtime the game is still tied, a second 10 minute overtime period will be held (not sudden death). Initial possession and side will be opposite from the first overtime period. If, at the end of the of the second full 10 minute overtime the game is still tied, a penalty shoot-out will decide the contest. The goalie for the shootout MUST have played either a full half of regulation, or both 10 minute overtime periods and cannot be changed for the duration of the shoot-out. If the goalie is injured, they can be substituted, but the injured player cannot participate further in the shoot-out as a goalie or a shooter. All shooters must come from the players on the field and can include the goalie. The first round of the penalty shoot-out will consist of each team choosing 5 shooters and a goalie. The referees will determine which goal will be used for the shoot-out. A coin flip will determine which team will shoot first. Teams then alternate shooters. When one team is assured of winning the shoot-out, the shoot-out is ended (ie. up 3 with the opponent only having 2 shots left, or up 2 with the opponent only having 1 shot left). If the first round of the shoot-out is completed and it is still a tie game, the shoot-out continues but then becomes sudden death after each round of shooters (one from each team), with the team ahead at the end of a given round being the winner of the game. This continues until a winner has been decided. All 11 players on the field (including goalie) must take a shot in the shoot-out before players can take a 2nd shot. If one team (burdened) has less than 11 players at the end of the 2nd OT, both both teams can utilize a player for the 2nd time after all players from the burdened team on the field at the end of the 2nd OT have shot once. An example in an 10-11 tie game with one team having 10 players on the field and the other having 11 players follows. From the players on the field, each team chooses 5 players for the first round. After all 5 shooters for each team have shot, the score is still tied. The 6th players from each team take a shot and the score is still tied. Likewise for the 7th through the 10th players from each team. At that point the teams could use players for the second time. The 11th player (one of the first 10 shooters) from each team takes a shot and the score is no longer tied. The game is over. "How many players play at a time ?"